We welcome our new group of students from USA, Malaysia, and Australia. We wish them all the best! The number of students enrolled this year has increased by 300% compare to same period last year. Thank you all for your interest and support! Matteo Thun, architect and designer, born in Bolzano, has studied at the Salzburg Academy under Oskar Kokoschka and at the University of Florence. After meeting with Ettore Sottsass became co-founder of the 'Memphis' group in Milan and partner of Sottsass Associati from 1980 to 1984. He was a design professor at the University of Applied Arts in Vienna (Hochschule fur Angewandte Kunst, Wien) from 1983 to 2000. 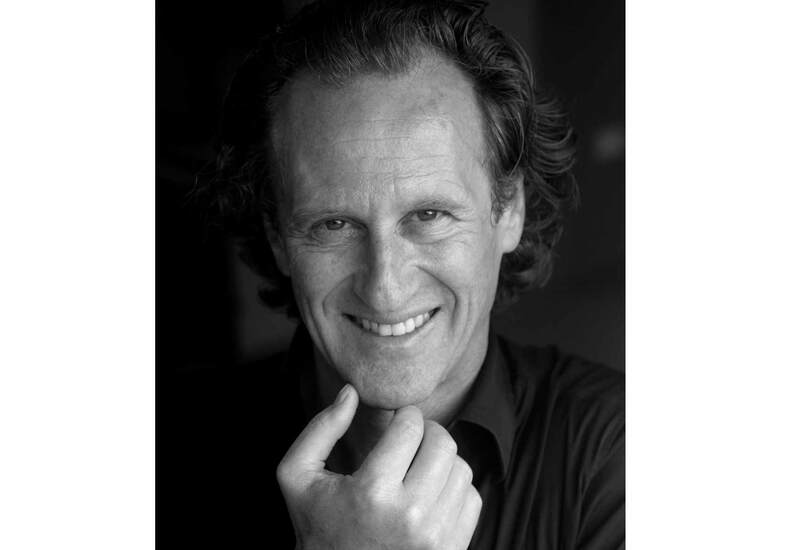 In 1984 he opened his own studio in Milan and became Art Director for Swatch from 1990 to 19993. Matteo Thun & Partners with partners Luca Colombo, Herbert Rathmaier and Antonio Rodriguez develops projects in the fields of architecture and design. The study is composed of a team of 50 professionals, including architects, designers and graphic artists. There are few trademarks so deeply rooted in the collective imagination of our country. Rossana is among them. Fifty years after the top manufacturer of high-end contemporary kitchens, Rossana make a reference brand design, technology and quality for the entire sector of design quality. The strength of Rossana is that he never limited to only give answers to the market, but if you ever advances, research, creativity and development. Rossana has used since the beginning of the collaboration of the biggest names in design International: Giancarlo Iliprandi, Michele De Lucchi, Rodolfo Dordoni, Tito Agnoli, Christoph Pillet, Massimo Castagna, Salviati-Tresoldi, Alfredo Zengiaro, Ennio Arosio and many others, managing so to join with thousands of installations in the most beautiful houses of Italy and the world. The kitchens Rossana created to last. 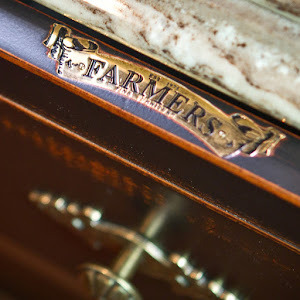 Kitchens foreign fashions and designed with meticulous attention to technical detail and constructive. Culturally for a few, but economically honest and therefore within the reach of many. Kitchens intended for a clientele evolved, able to appreciate the flexibility of systems designed to allow a customization with cutting almost tailoring. Systems where the transverse component allows you to fit both large and small environments. A produced more haute couture, pret a porter who, more niche that of series, designed specifically for each rather than standardized for all. The unquestionable quality, inexhaustible evolution of the product, the constancy in the pursuit of these aims and consistency in doing homage to the brand makes today Rossana an absolute force: credibility, determining factor especially in uncertain times for the international market. TK38 is the chef's kitchen and anyone who loves to cook.Rossana with an original design by Massimo Castagna innovative approach to cooking technique, not simply due to aesthetics but all steel designed for the real functions of food preparation, selection and management of the different methods of cooking, just like it does in a professional kitchen. Great work plans, customized by installing hobs differentiated to meet the diverse needs of cooking, are paired with containers in two different volumes, on the ground and suspended, and pre-made affinity to structural criteria of the industrial kitchen; an original and innovative contemporary design, minimalist aesthetics exceeded. In perfect harmony with the philosophy and vocation Rossana, TK38 is a product of uncompromising quality construction and functional, by the great technological content, original and innovative in design, precise answer to the real needs of Use and project timeless contemporary product . The project presented by ROSSANA is symbolic of the theme for the kitchen to come. It starts from a real project, the kitchen DC10 designed by Vincenzo De Cotis, which undergoes an internal sort of genetic mutation: DC10 part in burnished brass and glass mirrored volume becomes pure, simple silhouette that alludes metaphorically to the kitchen to come. As a nymph, the kitchen becomes more today than tomorrow remembering how the evolution of species-kitchen has already passed through mutation / contamination with the living of which it has assumed forms and guises. The art installation designed by Vincenzo De Cotis projection is "thinking about the kitchen that will be." Without giving solutions, let each, mirrored in these volumes, fantasize about cooking that more resemble in 2050 ROSSANA kitchen, for sure. VIENNA - designed by Massimo Castagna - is an aristocratic cuisine. A contemporary interpretation of international decorative taste, Vienna has the allure and the authority of noblesse oblige. In essence echoes the leaf embossed geometric lines of the Vienna Secession combined with wall units in stainless steel. Warm, rich, upper class. A kitchen where sobriety formal nod to the past and reinvents it. For neo-romantic hig-tech. Rotational cooking brings people together. The rotational cutting and storage board allows the user to socialise, cook, and eat healthily at the same time. Integrated touch sensitive variable interface, allowing the user to adjust the temperature of the hotplate individually, or as a whole unit. Induction technology allows interaction with the surface without high temperatures. L.E.D light indicate blue when surface and appliance are cool, and red when hot. Easy to chop, cook and eat. Detachable copping board on a hinge allows chopping, flipping and cooking with ease. After use, the Rota-cook folds up. Easily stored or used as a focal point. Often a kitchen makeover is part of a more wide-ranging renovation. Reinventing this key area presents the opportunity to smooth the transition between new and original spaces. When kitchen designer Darren James came to this project, much of the home's interior was stripped out, creating a blank canvas. Outside, the existing house frontage was retained, while the rear was transformed and modernised. 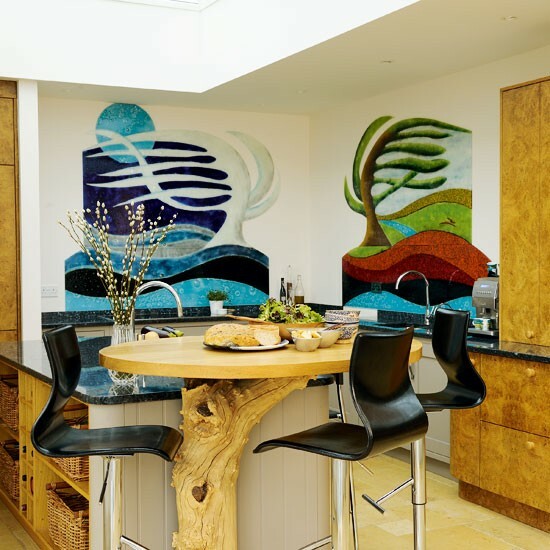 "For the new kitchen, the owners wanted an understated look that wouldn't date," says James. "Essentially, they wanted a traditional space with some modern touches." In response, James created a transitional workspace that links the front of the residence with the rear in a demure fashion. "I introduced panelled cabinetry to create a classic style," says James. "This is matched with Corian work surfaces on the wall cabinetry and a splashback and island benchtop in marble." The island counter – a central feature of the kitchen – is in 20mm-thick marble, book-matched and set over a 150mm boxed frame. The bench block provides a clean-lined, modern touch, as does the gleaming stainless steel-fronted refrigerator. However, the majority of appliances are set in a corner pantry. This was a client request, providing a way to keep clutter out of sight from the living spaces. The rear-wall benchtop runs right through to the outside of the home, acting as a servery for the deck. Top-hung, bifold windows mean there are no fenestration grooves in the surface. There is also another ancillary space. A small office, complete with computer and desk, is tucked behind cabinet doors by the refrigerator. Our market presence in over 60 countries and our extensive product range make Merino Laminates the world’s leading manufacturer and exporter of decorative laminates for the interiors segment. We showcase a range of world class, premium laminates with more than 10,000 designs, textures, colours and finishes. Complementary products from the Merino Group include plywood, melamine-faced particle board & MDF board, and post-formed panels for the interiors industry. We have committed ourselves to uphold the highest manufacturing standards, a practice that has earned all our facilities pertinent certifications that include ISO 9001, ISO 14001 and OHSAS 18001. The Merino Laminates brand came into existence in 1981, when the Merino Group extended its activity to laminates manufacturing, having entered the interiors segment with Plywood in 1974. About the Merino Group: Founded in 1968, the Merino Group is today a US$ 165 million group with diverse business interests which include Panel & Panel Products, Biotechnology (Agriculture & Food Processing) and Information Technology (IT). We are driven by our constant effort to maintain Economy, Excellence and Ethics in all our businesses. We export to 60 countries around the globe, and employ 3000 people across three manufacturing sites, 19 offices in India and an office in the U.S. To know more about the Merino Group, visit our Group Website. 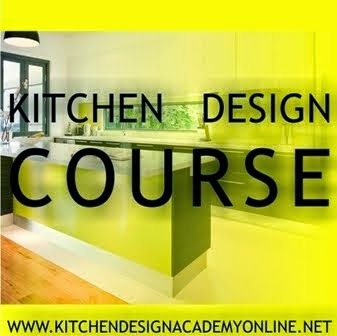 Designing a "smart space" is as important as designing a stylish one - that much can be said when it comes to kitchens. 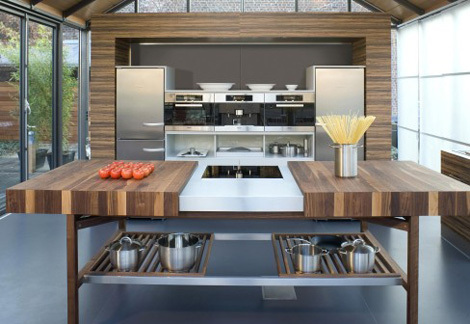 The Schulte Grace kitchen island by German designer Franz-Josef Schulte makes practicality pretty. This contemporary design uses rich, solid wood that slides open to reveal a sleek cook top operated through a sophisticated magnetic field which responds when a pot is placed on the stovetop. 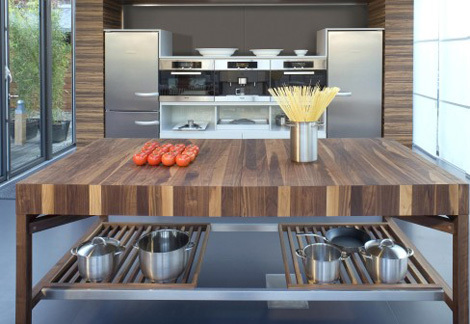 Integrated electrical sockets, a grid tray and a cutlery drawer are handy, and the wood surface slides closed to create a table for eight. Available in oak, beech, European cherry, American walnut and black cherry, this stylish island will have your guests begging you for seconds. Yes! This was a nice explanation to use decorative laminate for home, and how they can work wonders for unique home decorating ideas.